Happy holidays! If innovations in immersive learning are topping your wish list, you are in luck! 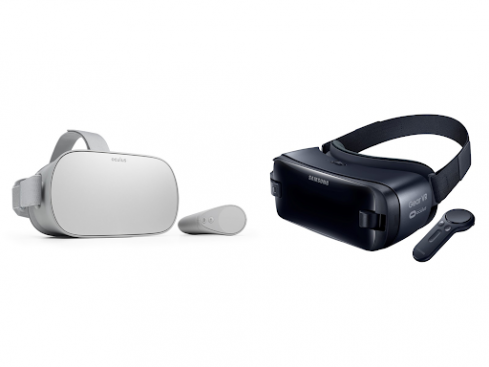 To help kick off the season, CenarioVR has just released a host of new features, including native apps for Samsung Gear VR and Oculus Go. We’re excited to offer native support for these popular VR headsets because you and your organization will have a better learning experience along with native support for the headset’s controller, the ability to download scenarios directly to the device, and analytic reporting on your learners’ performance. To experience it for yourself, you can download CenarioVR from the Oculus store or the Samsung store. Or, if you are using a different headset, such as the HTC Vive Focus or Lenovo Daydream, you’ll be happy to hear that the new CenarioVR release also supports Firefox and Firefox Reality WebVR, which are available on most major headsets and can be used to launch scenarios. 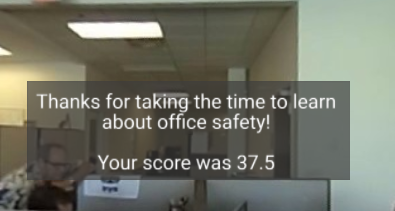 Live Score - Now you can add "Live Score" to your scenario so learners can see their scores update in real time. New Selection Animation - You’ll notice a new growing animated circle when selecting an object in non-gaze to select devices. Or you’ll see a selection circle if using a cardboard style device. 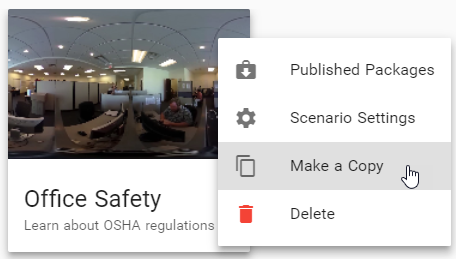 Copy & Paste Scene Shortcut - Now you can right-click on a scene to copy and paste the entire contents of the scene, including objects and timed actions. Create a Copy Shortcut - To save time, the shortcut menus on a scenario can be used to quickly create a copy. Pan-to-Object - Now you can simply spin the camera around with the "Pan-to-Object" action. This will change your perspective on any device. To see these great new features, login or sign up for a free trial.